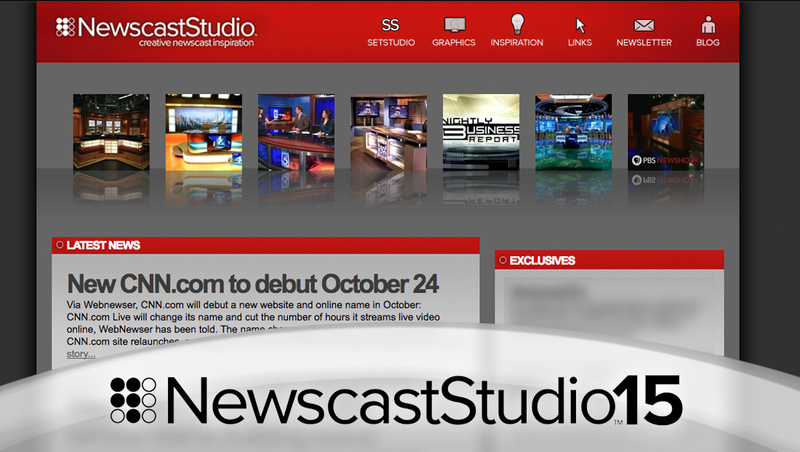 2009 saw another redesign to the NewscastStudio site. The new site continued with the same logo and red color scheme, but added a dark gray background as well as gradient effects on the site’s boxes. This new design dropped the circular navigation icons but added a key new feature — a row of thumbnail images of galleries across the top of the homepage. Also in 2009, NewscastStudio joined Twitter.